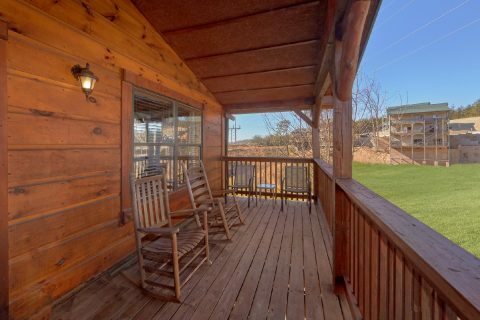 "Sundaze," a beautiful 3-bedroom cabin in Pigeon Forge, places guests near Dollywood and grants swimming pool access in the summer. 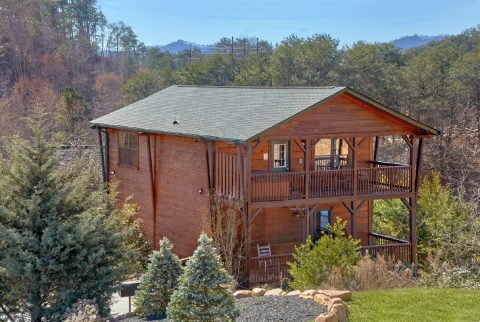 Golfers, this is a great cabin near the Gatlinburg Golf Course! 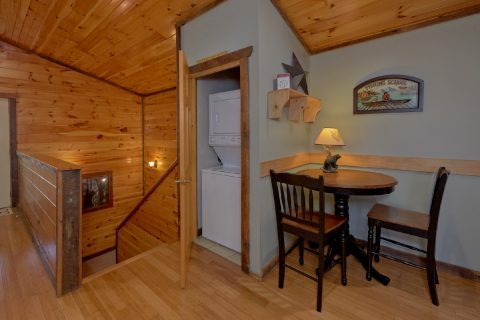 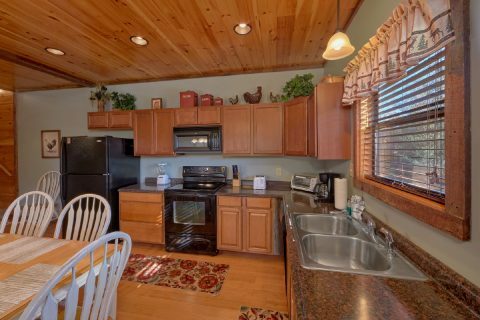 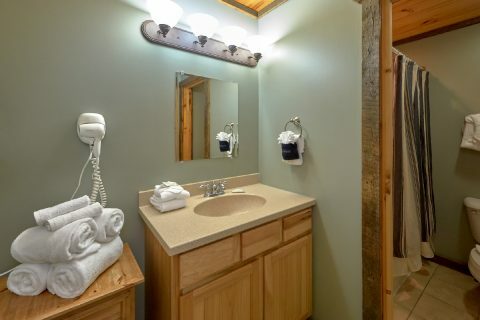 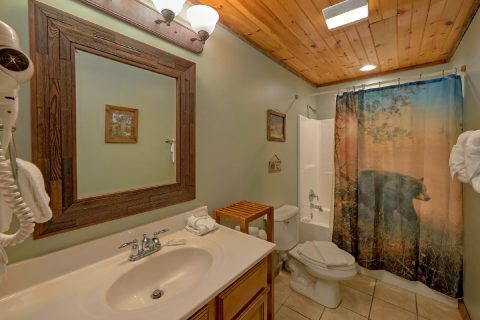 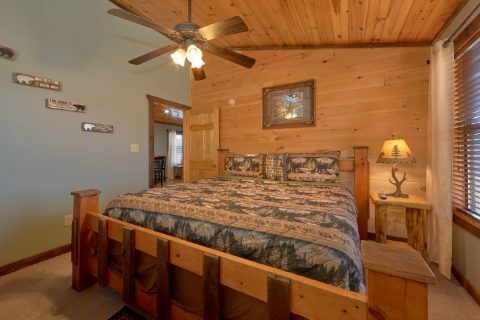 This 3-bedroom cabin in Pigeon Forge provides affordable luxury to its guests and plenty of amenities for a comfortable cabin stay. 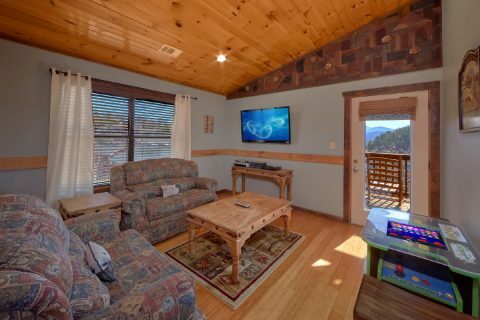 Entertainment waits in the two sitting areas with televisions. 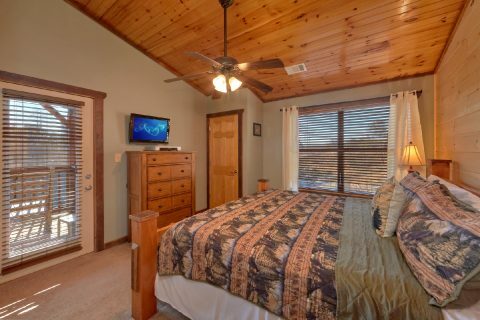 Additionally, with Free WiFi Internet, you can enjoy your favorite movies and games online. 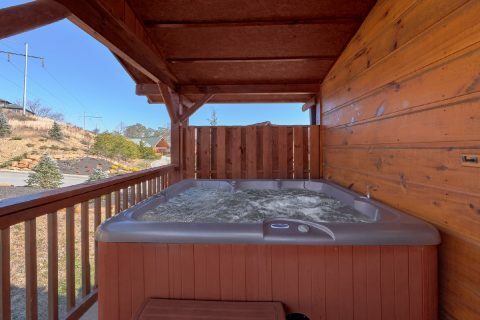 Relax outside in the year-round hot tub on the covered deck, Cook scrumptious meals on in the fully equipped kitchen or on the outdoors charcoal grill. 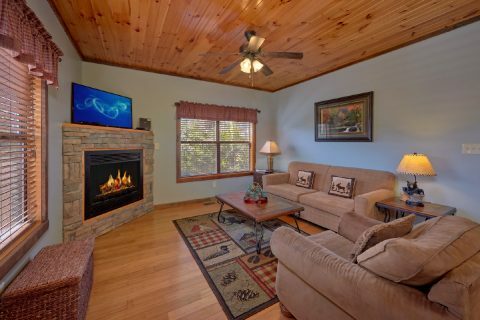 During the winter, cozy up next to the electric fireplace for warm nights inside. 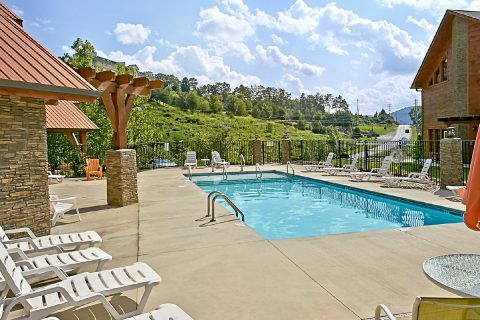 When the winter's chill has retreated, spend the summers cooling off at the pool during the day and gathering around the resort's community fire-pit for great times together at night. 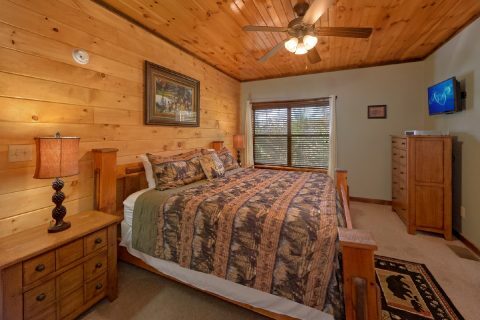 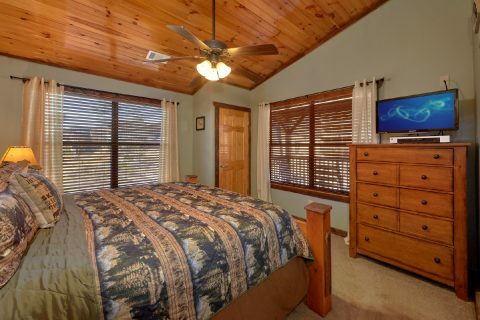 After a long day enjoying the sights and sounds of the Smokies, enjoy a restful night's sleep in one of the 3 comfortable king bedrooms this 3-bedroom cabin in Pigeon Forge offers. 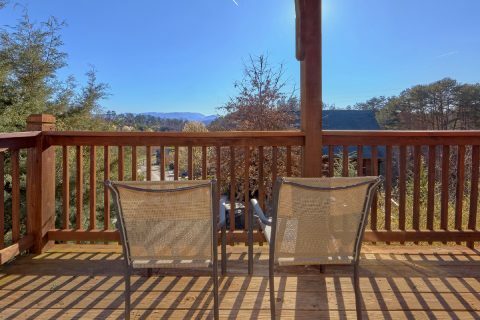 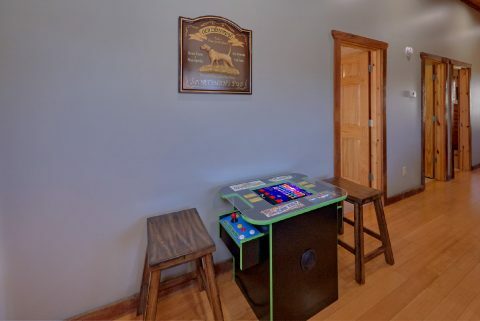 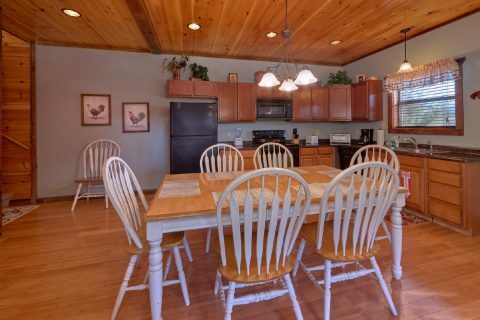 This 3-bedroom vacation rental near Gatlinburg accommodates up to 8 guests and offers a convenient location less than a mile off the action packed Pigeon Forge Parkway. 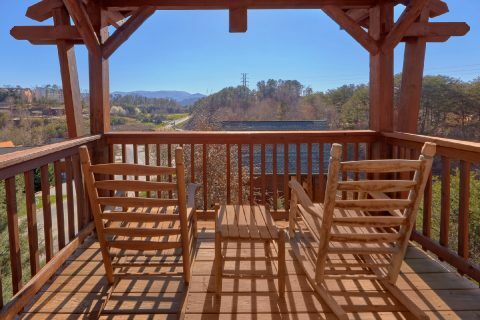 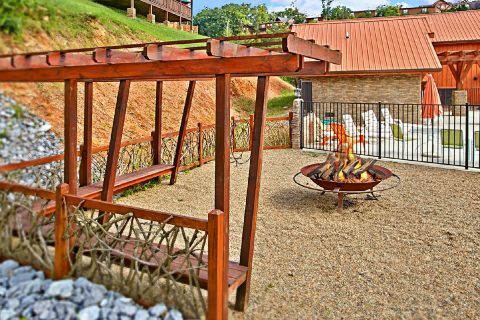 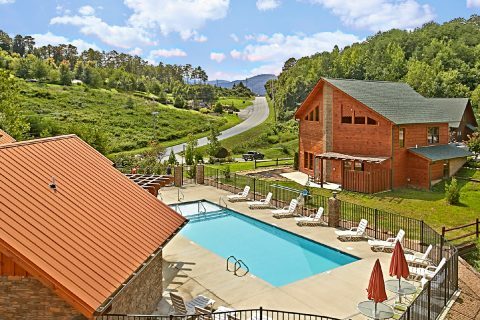 Family members will enjoy the seemingly endless attractions, dinner shows, shopping, and other countless adventures close to your 3-bedroom cabin in Pigeon Forge. 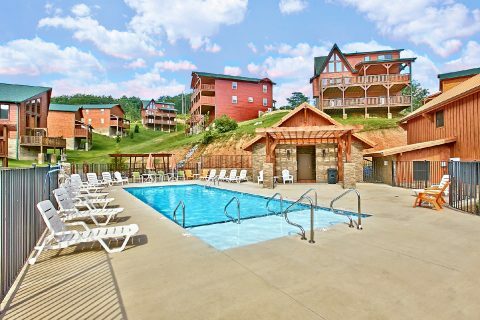 Start planning a Smoky Mountain getaway filled with family, friends, and fun! 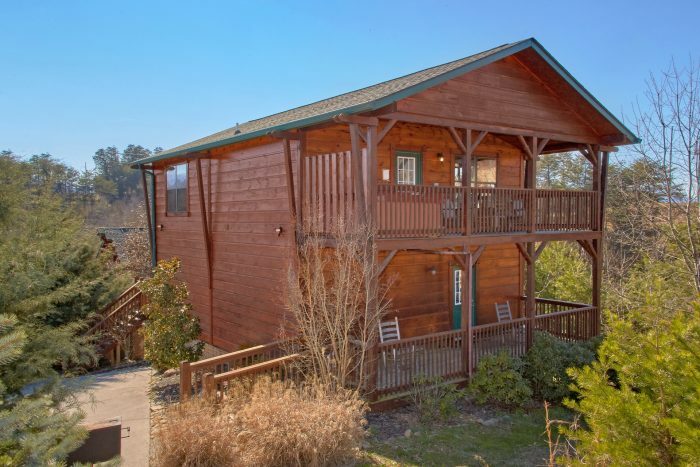 Book your 3-bedroom cabin in Pigeon Forge ONLINE with Cabins USA Gatlinburg to receive an immediate Online Cabin Special!